Bring the fun of Nintendo to life with these awesome mini-figures! The Nintendo 2 1/2-Inch Mini-Figure Wave 13 Case may include Nintendo favorites like Toad, Yoshi, and more! Each figure measures 2 1/2-inches tall and features multiple points of articulation. Ages 3 and up. 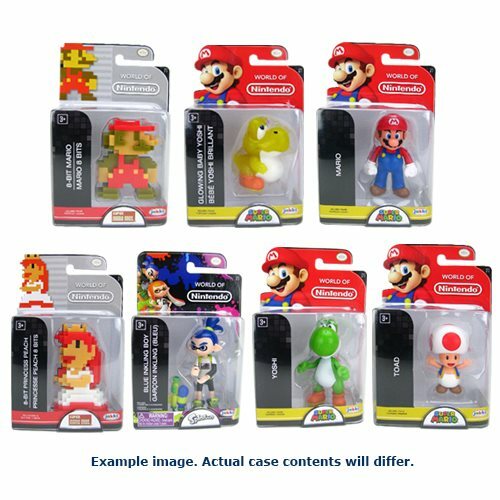 The Nintendo 2 1/2-Inch Mini-Figure Wave 13 Case includes 16 individually packaged mini-figures.